Learn more about Topdown and our products. 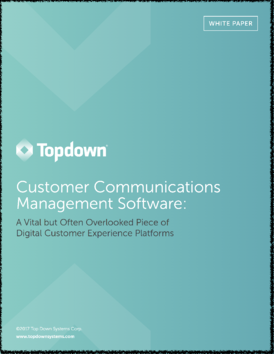 See and hear what leading industry experts and analysts think about INTOUCH, Topdown's new SaaS CCM software, and see the software in action during a customer journey. 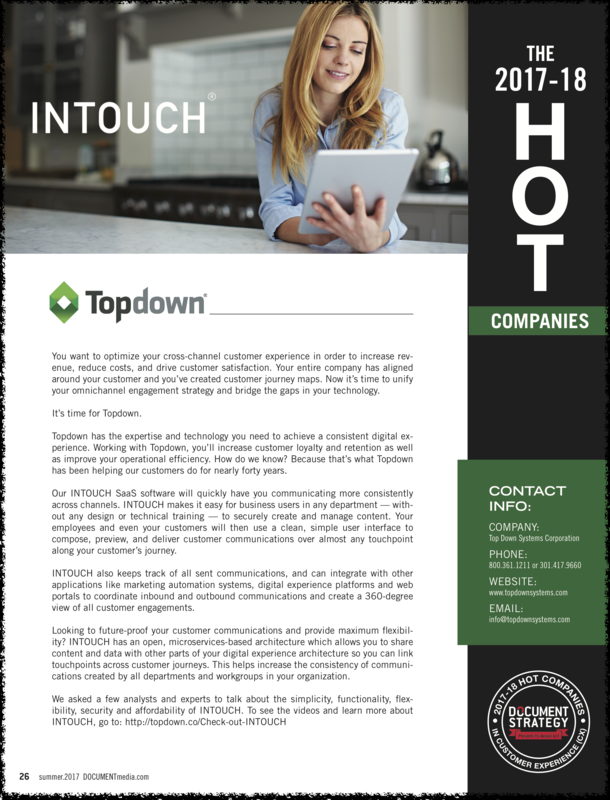 See how Topdown's INTOUCH CCM software can help you bridge silos of customer engagement. 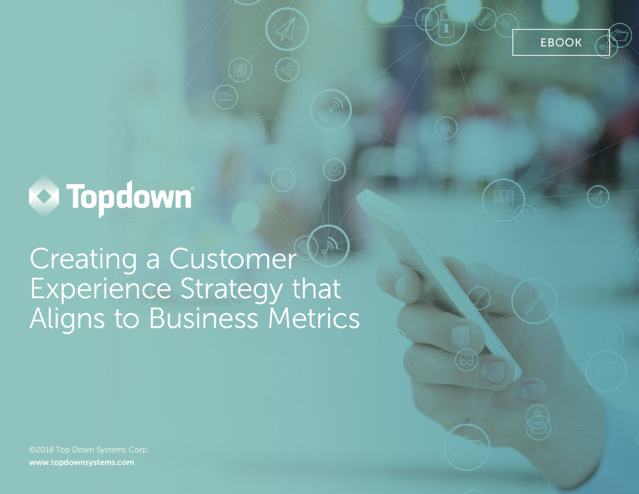 Taken from our webinar with Forrester, John Zimmerer from Topdown explains how using disconnected digital experience software impacts the customer experience. Learn how to develop a customer experience (CX) strategy and connect Key Performance Indicators (KPIs) to business outcomes. 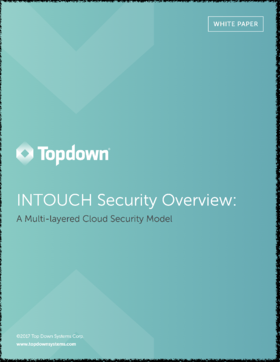 Get an overview of INTOUCH, Topdown's 100% cloud, microservices-based CCM SaaS software. You'll love its modern, easy-to-use interface and its future-proof architecture. 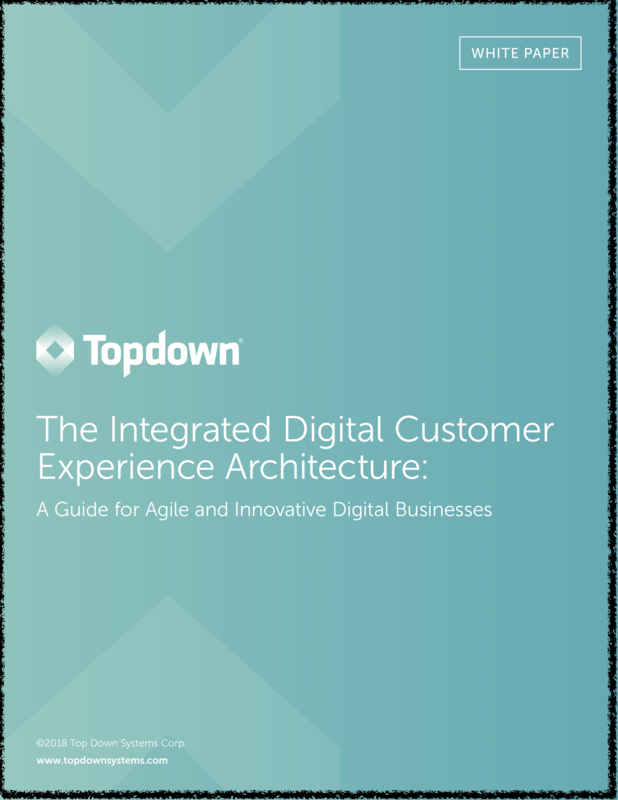 Discover the benefits of integrating capabilities like personalization and automation with your digital experience architecture. 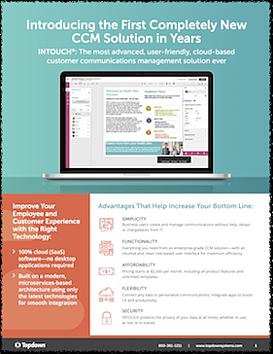 Learn how to integrate the cloud-based INTOUCH content services with your digital experience architecture. 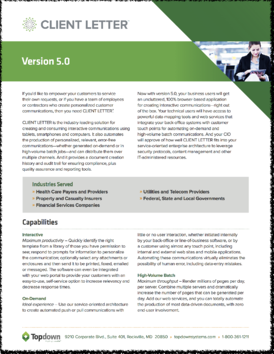 Learn how INTOUCH addresses cloud-based access and identity management (AIM) and data security. 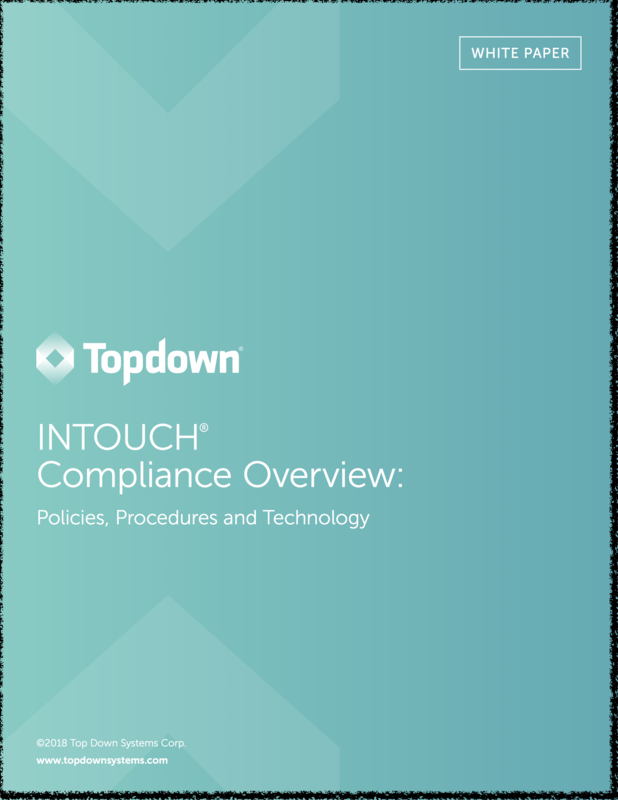 Read about Topdown's approach to compliance with various industry standards and government regulations. Learn about the CLIENT LETTER customer communication management software features and benfits. 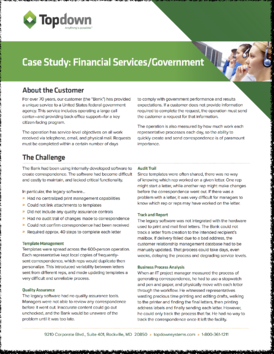 Learn how the Federal Reserve Bank of Minneapolis benefits from CLIENT LETTER customer communication management. 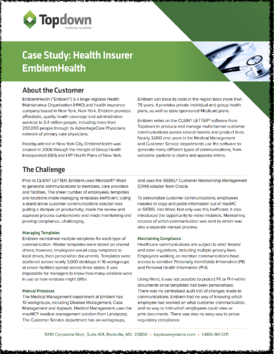 See how EmblemHealth benefits from CLIENT LETTER and customer communications management. Discover why Topdown was named to the list twice. 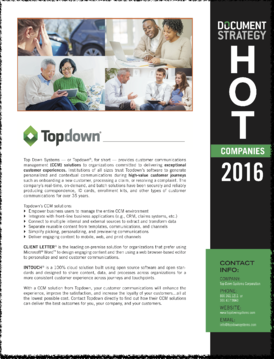 Find out why Topdown was named a "HOT Company in Customer Experience".